Last month, an international fact-finding mission on Israeli settlements in the Occupied Palestinian Territory (OPT) commissioned by the UN Human Rights Council found that settlements constituted a violation of international human rights and humanitarian law and called on Israel to stop all expansions immediately and withdraw from settlements. But at the same time, Israel has been moving forward with equally controversial settlement plans under less scrutiny and with unusual speed. As US President Barack Obama prepares to visit the region this week, IRIN takes a look at some of the details that have been overlooked in the discussion. What’s the Giv’at HaMatos Plan? According to Israeli NGO Ir Amim (“City of Nations”), which works to preserve Jerusalem as a home for both Jews and Palestinians, one settlement plan of “critical importance” is Giv’at HaMatos. In a sense, Giv’at HaMatos does in the south what E-1 does in the east. The planned large housing and hotel complex at the southern perimeter of Jerusalem would further disrupt the contiguity of land between East Jerusalem and the rest of the West Bank required for a future Palestinian state, seriously impeding a two-state solution, research and rights groups say. It would also mark the first new settlement construction in Jerusalem since 1997. Part of the plan – to build 2,612 units – was approved by the Jerusalem Regional Planning Committee on 19 December. Most of Giv’at HaMatos is currently uninhabited, but according to the International Crisis Group (ICG), which recently released a two-part report on the future of East Jerusalem, its build-up would cut off Arab neighborhoods in southern Jerusalem, like Beit Safafa and Sharafat, rendering them “Palestinian enclaves”. Giv’at HaMatos would connect the dots of several other planned or expanding settlements along southern Jerusalem – including Giv’at Yael in the southwest; and Har Homa and East Talpiyot in the southeast – forming “a long Jewish continuum severing Bethlehem’s urban continuum from Palestinian Jerusalem”, ICG said. Last year, the Israeli government also approved more than 2,000 new units in neighboring Gilo. This kind of attachment to Jewish expansions could make peace negotiations even harder. Barak Cohen, the Jerusalem Municipality’s adviser for foreign affairs and media, told IRIN Giv’at HaMatos is part of Jerusalem’s “natural and much-needed growth”, allowing both Arab and Jewish landowners to develop their properties. Indeed, part of the Giv’at HaMatos plan, approved on 18 December, allows for the building of 549 units for Palestinians – though Betty Herschman, director of international relations and advocacy at Ir Amim, points out much of it retroactively legalizes building that has already been completed. The figures, she added, amount to just over one-fifth of the Jewish expansion. Last year, Israel also issued tenders for the construction of 606 new housing units north of East Jerusalem, in the Ramot settlement, just north of the Green Line marking the border between Israel and the West Bank, and approved another 1,500 units in the neighboring settlement of Ramot Shlomo, according to Ir Amim. What Other Settlements Are Planned? Beyond Jerusalem, there was movement on a number of other settlements projects in ‘disputed areas’, according to Settlement Watch. In June 2012, the Israeli government announced it would build 851 new units in the West Bank, including more than 230 in the controversial settlements of Ariel and Efrat. Like Giv’at HaMatos, these two settlements make a contiguous Palestinian territory impossible, Settlement Watch says. Overall, settlements expanded much faster than usual last year. In 2012 the Israeli government approved the construction of 6,676 settler housing units in the West Bank, compared with 1,607 in 2011 and several hundred in 2010, according to Peace Now. For plans that were already approved, it issued more than 3,000 tenders to construction contractors – more than any other year in the last decade, Peace Now said. Construction has actually begun on 1,747 homes. Regardless of the settlements, Palestinians, especially in Area C, are under immense pressure. Recent weeks have seen a considerable upswing in demolitions of Palestinian structures. According to the Displacement Working Group, a grouping of aid agencies helping displaced families, Israeli forces destroyed 139 Palestinian structures, including 59 homes, in January – almost triple 2012’s monthly average. The demolitions occurred in East Jerusalem and the West Bank – with a majority taking place in Area C – and left 251 Palestinians, including over 150 children, displaced. The office of the Coordinator of Government Activities in the (Palestinian) Territories (COGAT) told IRIN there was no connection between the removal of unauthorized buildings and the construction of Israeli settlements. “All construction in the West Bank is subject to building codes and planning laws and unauthorized constructions are dealt with accordingly,” the office said in an email. Settlements are often discussed through the lens of their illegality under international law or as obstacles to a peace agreement between Israel and the Palestinians. 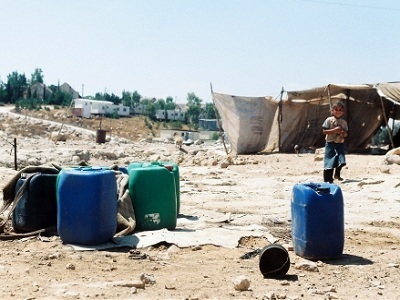 But everything associated with the settlements – including Israeli-only infrastructure, the separation barrier, military checkpoints, restrictions on Palestinian freedom of movement, suppression of freedom of expression and political life, and control of Palestinian natural resources – causes a ripple effect through Palestinian society, adversely impacting the people. The UN estimates there are now 520,000 Israeli settlers in East Jerusalem and the West Bank, with 43 percent of the land there allocated to local and regional settlement councils. According to the UN Secretary-General, Israel has transferred roughly 8 percent of its citizens into OPT since the 1970s, altering the demographic composition of the territory and furthering the Palestinian people from their right to self-determination. But Israeli settlements have violated Palestinian rights to equality under the law, to religious freedom and to freedom of movement, according to the UN fact-finding mission. They have also eroded Palestinian access to water and to agricultural assets, and the ability to develop economically, it said. For example, Bedouins from the Palestinian village of Khan Al Ahmar, northeast of E-1, cannot sell their dairy products at their traditional Souq Al Ahmar market any more. Because of movement restrictions (they hold West Bank IDs and lack the proper permits to enter East Jerusalem), they cannot get there. The UN secretary-general has said that Palestinians “have virtually no control” over the water resources in the West Bank, with 86 percent of the Jordan Valley and the Dead Sea under the de facto jurisdiction of the settlement regional councils. There is a statistical correlation between Palestinians’ proximity to settlements and their rates of food insecurity, according to a UN and government survey, which found that one quarter of Palestinians who live in Area C, home to the largest number of settlements in the West Bank, are food insecure. In Areas A and B, the average rate of food insecurity is 17 percent. In addition, “all spheres of Palestinian life are being significantly affected by a minority of settlers who are engaged in violence and intimidation with the aim of forcing Palestinians off their land,” the mission said. Operation Dove, an international organization working in the Palestinian village of At-Tuwani and the South Hebron Hills, reported that Palestinian children have a very hard time going to school due to settler attacks. The UN and rights groups say radical settlers use violence against Palestinians with impunity and their illegal outposts are often recognized and retroactively legalized by the government. Since the occupation began, Israel has detained hundreds of thousands of Palestinians, some of them without charge, and some of them children. Most of the minors are arrested “at friction points, such as a village near a settlement or a road used by the army or settlers”, the fact-finding mission said. Israel uses what they term “administrative detention” when it considers the detainee a threat to the security of the state. Ir Amim’s Herschman says Israel is also attempting to create a “greater Jerusalem” through additional means, for example: the Israeli separation barrier, planned national parks, and the construction of highways dividing villages, dispossessing Palestinians of their land and making it harder for them to access services like schools and mosques. 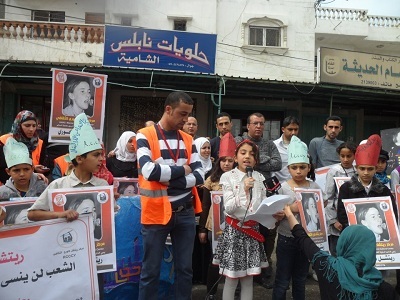 In recent weeks, residents of the Palestinian village of Beit Safafa have been protesting against the planned extension of the Begin Highway that would divide their village in order to connect major Israeli settlement blocks outside the city to Jerusalem. The planned root of the separation barrier, in addition to a potential national park around the perimeter of the barrier would also close off nearby Palestinian village al-Wallajeh. The planned route of the barrier extends all the way around and far beyond Muale Adummim and in other areas south and north of Jerusalem. “These lines are a unilateral declaration of a much greater Jerusalem, a unilateral expanding of the boundaries, an exponential increase,” she told IRIN. “The assumption behind this… is that Jews have no right to live in the West Bank, an assumption that we reject. In fact we see ourselves as the true indigenous people of this land. Religion or race are irrelevant. Israeli citizens have no right to move home into the West Bank, because the West Bank is outside the borders of Israel. It’s as simple as that.